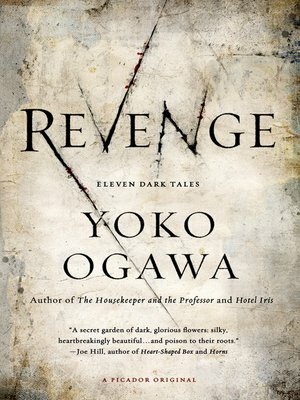 Sinister forces collide—-and unite a host of desperate characters—-in this eerie cycle of interwoven tales from Yoko Ogawa, the critically acclaimed author of The Housekeeper and the Professor. An aspiring writer moves into a new apartment and discovers that her landlady has murdered her husband. Elsewhere, an accomplished surgeon is approached by a cabaret singer, whose beautiful appearance belies the grotesque condition of her heart. And while the surgeon's jealous lover vows to kill him, a violent envy also stirs in the soul of a lonely craftsman. Desire meets with impulse and erupts, attracting the attention of the surgeon's neighbor—-who is drawn to a decaying residence that is now home to instruments of human torture. Murderers and mourners, mothers and children, lovers and innocent bystanders—-their fates converge in an ominous and darkly beautiful web.